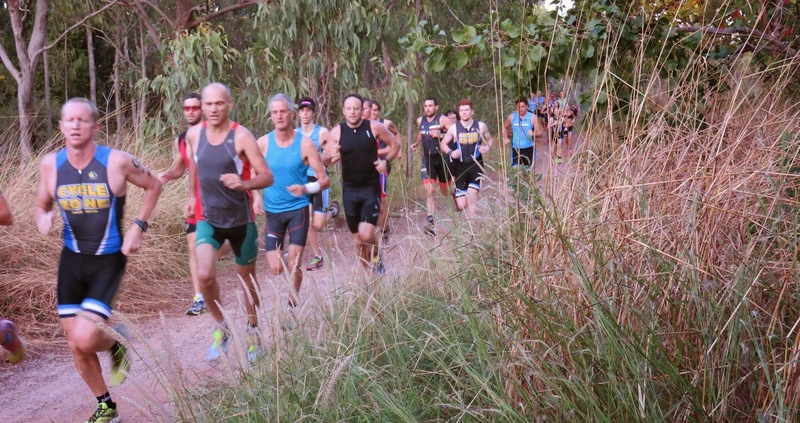 We had an amazing turnout for our duathlon at Dripstone Park at the weekend and the course got a huge thumbs up from competitors. The weather obliged as well with the dry season switch being flicked, and it was great to have cooler conditions in play. A big shout out to RD Tony Cox, Equipment Officer Alex Murdock, Timing Guru Gary Wall, the team from Blue Cycles NT and all our other fantastic volunteers for helping out on the day. We couldn't have done it without you all. Thank you! Please note the venue for our Kerran Mudgway Memorial Club Championships (10 May 15) is Lake Alexander (originally listed as Lake Bennett but changed due to unavailability) and the start time for this event will be 6:50am. Fruit | Ice: Volunteer required – can you help? Please email. 1. We launched our 2015 | 2016 Events Calendar this week. 2. The club is now also seeking sponsorship for those events and has developed Sponsorship Guidelines to assist that process. 3. We are hopeful that this way we will continue to be able to promote the sport; cover increased event costs; purchase a replacement for our aging equipment trailer; obtain new bike racks & event signage etc. while still maintaining our very affordable low entry fees for our members. 4. Members of the sponsorship sub-committee will be approaching individuals and businesses over the coming weeks. 5. If you (or a business you are connected with) would like to sponsor an event or series we also welcome immediate expressions of interest from potential sponsors by email. 2. And of course, you are very, very welcome to get the word out there that we are seeking 2015 | 2016 sponsorship partners right now! 1. Lots of activity happening on our DARWIN TRI – BUY | SWAP | SELL Facebook page. Request to join if you haven’t already done so. 1. A number of our members had a crack at Darwin Swimming Club’s Anzac Day 100 x 100 Challenge. 2. Congratulations to John Arrigo and Brianna Scarlett who married at the weekend. 3. Pieter Jordaan and Dee Walsh are among those heading west for Ironman 70.3 Busselton this weekend. Good luck! 4. Lining up at Ironman Australia on the east coast we have Glen Scholz and Michelle Gailey. Good luck! 5. We also have members taking part in the Lake Argyle Swim in Kununurra. We do get around! !